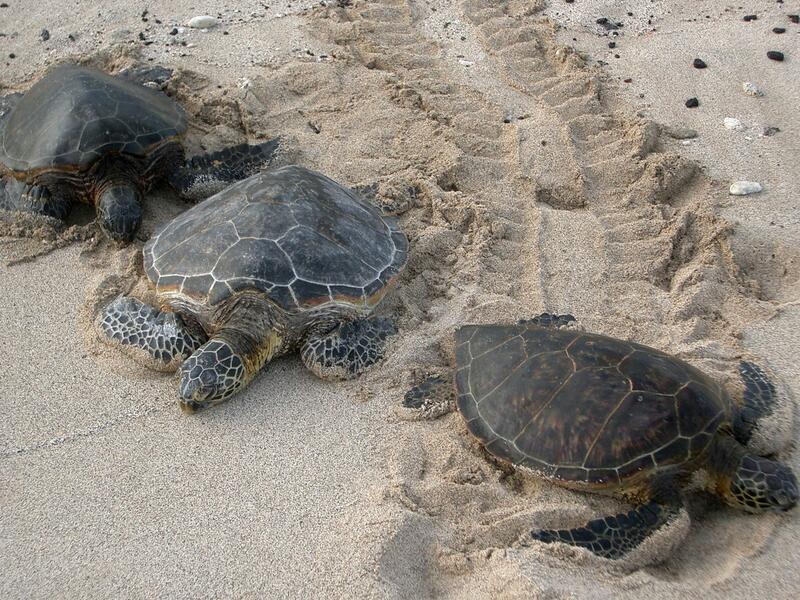 Rescuers are bringing cold-stunned sea turtles in Florida to warmer waters. Young turtles often live in the shallow waters where waters get colder faster while bigger turtles swim into warmer water in the Gulf. When water temperatures fall below 50 degrees, the turtles can become stunned. They appear comatose and it's hard to determine whether they're alive or dead. Some sea turtles are warming up in rehabilitation pools at the Canaveral National Seashore. Most will be tagged and released as soon as weather conditions allow. This year's cold snap doesn't compare to 2010 when rescuers saved more than 2,000 sea turtles. At Gulfarium in Fort Walton Beach, turtles are getting fluids through a needle and tube. The Gulf World Marine Institute in Panama City Beach had already treated 200 cold-stunned turtles by Thursday evening. State wildlife officials said they had rescued more than 100.